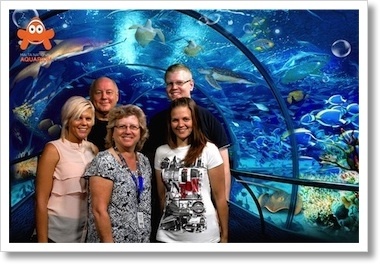 Aquariums are an ideal location for a souvenir photography solution as it is very difficult for guests to take their own photos due to the nature of the attraction. A photo solution needs to be sympathetic to the animals and we ensure no harsh lighting or flash is used. Malta National Aquarium, Bournemouth Aquarium, The Lakes Aquarium, Sealife Hunstanton, Sealife Paris, Sealife Benalmádena (Spain) and Sealife Scheveningen (Holland). 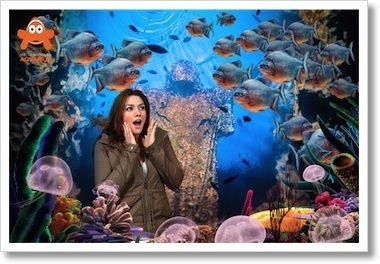 Green Screen solutions work well in these environments as the multiple backgrounds allow for a number of exciting, interesting and fun photos. This automatically leads to increased revenues. 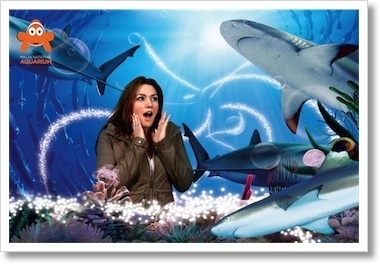 Exciting and Fun Images increase revenues. 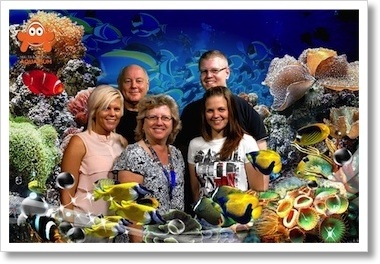 A wide range of images are quickly and easily produced with our automated green screen chroma key system and are ready for the guest to choose and buy instantly. We also offer digital downloads via the internet so the visitor can download and share your brand via social media. 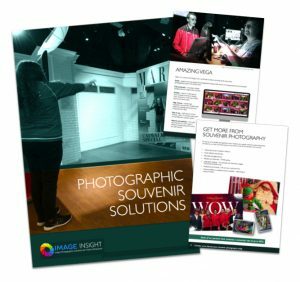 Unlike other, older systems, with our VEGA photo solution, there is no user intervention needed to produce the images, and this massive benefit increased the guest experience and revenues.